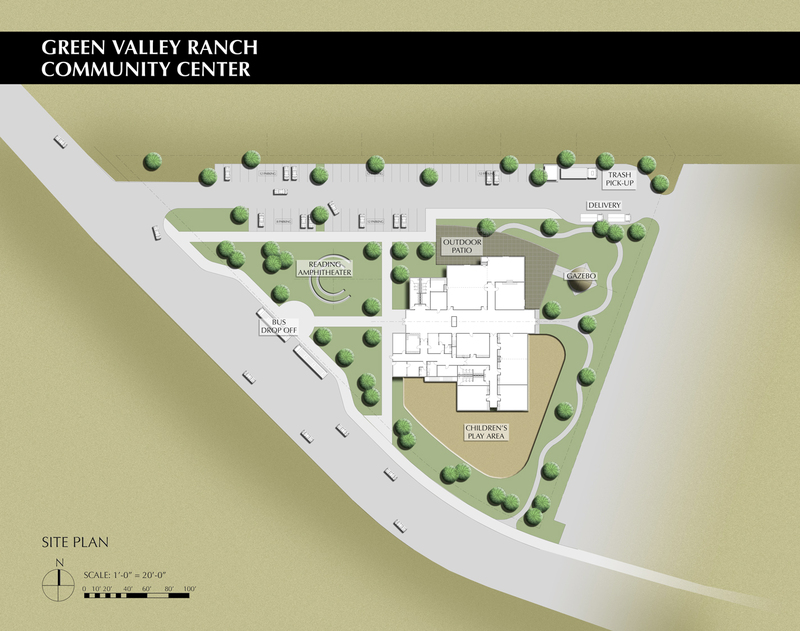 The Roybal Corporation developed a conceptual design for a new Community Center to be developed in the Green Valley Ranch neighborhood. The facility would house an array of community services including: Two multi-purpose rooms, a library, rest-rooms, and a day care center. 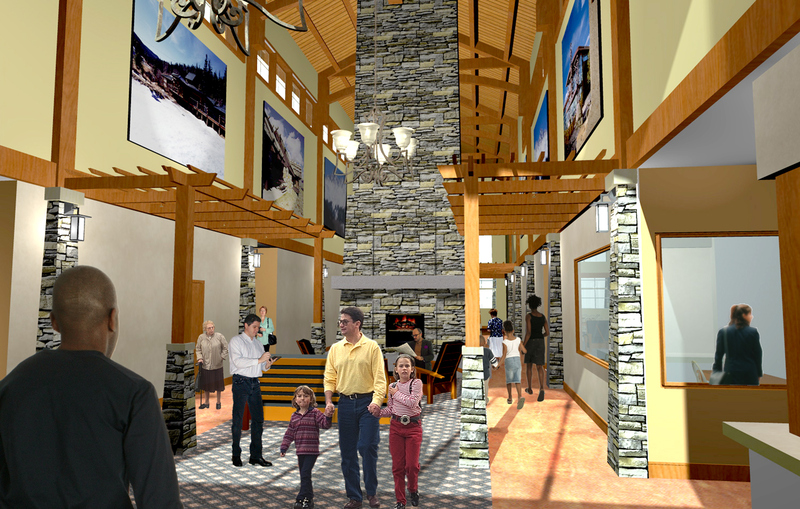 The choice of materials and the architectural approach reflects a Western Architecture style that was prevalent in other community buildings such as the existing Green Valley Ranch Golf clubhouse.